Sometimes our lives get so busy that we don’t always appreciate the little things, such as enjoying a hot cup of tea on a sunny afternoon, or receiving a kind “thank you´´ from a colleague. It’s the same in research: there are multiple examples where the little things that matter the most get overlooked. Although they are only 18-22 nucleotides long, miRNAs are essential for gene regulation. They are expressed in different cell types and tissues and can function as oncogenes or tumor suppressors, making them key players in both normal physiology as well as the development and progression of various cancers. Therefore, it’s important to fully understand miRNA biogenesis and expression patterns in order to define their biological functions. 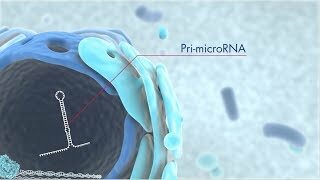 See how miRNA biogenesis works by watching here. When working with miRNAs in the lab, it’s important to consider the little things along each step of your workflow…from sample collection and stabilization to the final analysis. To help you get the most from your samples, we have prepared a special 2-part miRNA webinar series for you on best practices for sample handling and isolation for a whole range of sample types – including those with special requirements. In addition, we will show you the advantages of using qPCR for successfully detecting miRNA using locked nucleic acid (LNA) technology. Register now and you’ll receive a link to view an on-demand recording after the event should you not be able to make it. Next Article › Looking forward while looking back! Stream our top qPCR tips & tricks and tell us your topic ideas for 2018!